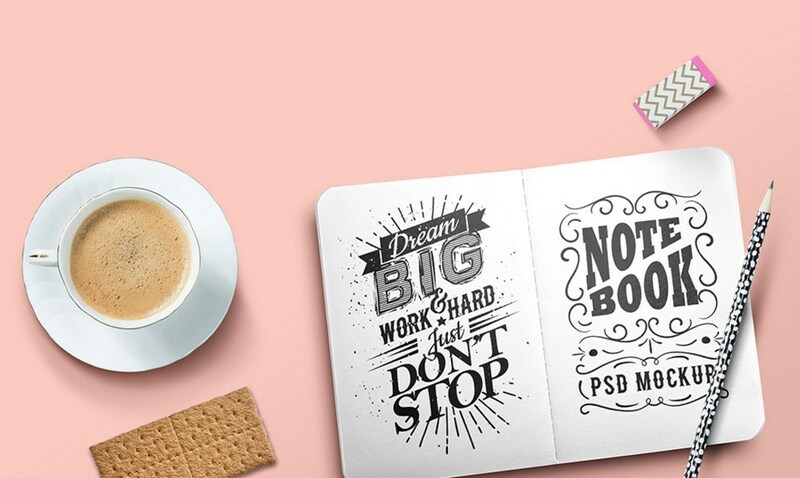 Friends, this is a cool mockup to help you present your artwork, sketches or typographic designs in style. 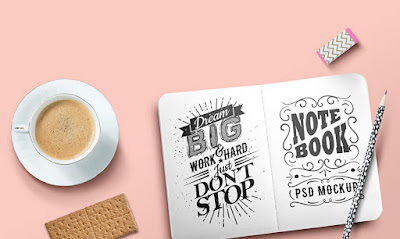 The mockup template contains fully separate and movable objects with shadows. With the help of the smart-object layers, you can add your own artwork on the left and right pages of the book easily. You can also change the background of the scene to fit your design needs. To get you started with that, I have added 5 different backgrounds that include two color backgrounds and one chalkboard, one wood and one paper background. Hope this will be a good resource for designers like you and me.